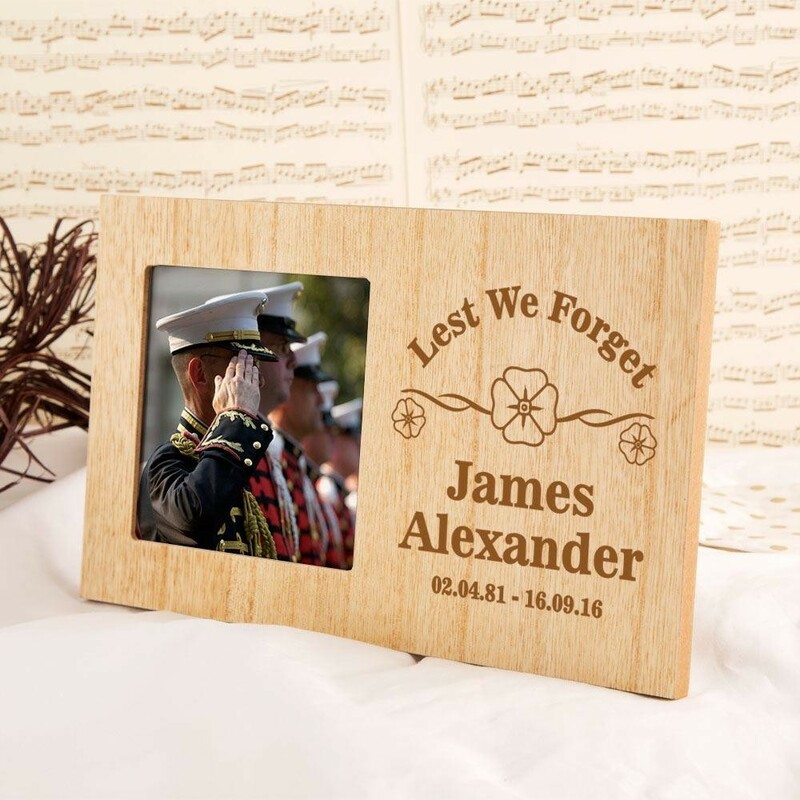 Our wooden memorial frame features a simple poppy design, along with an arch of writing that reads “Lest We Forget”. 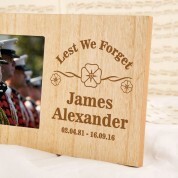 In the centre reads the loved ones name in a bold, traditional font. Below reads the special dates. This photo frame makes a special addition to the home, or a precious keepsake for a friend or family member to remember a lost one. 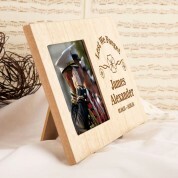 It can be sat on the mantelpiece or at your bedside, to always remember them.